We welcome new patients to our practice - come in and see us or contact our practice location convenient to you for more information. Making sure you receive the best technology and quality is of great importance for us. With technology changing rapidly, the lens options are now quite vast and our experienced team can help guide you, by selecting the most suitable option. Depending on the visual needs and prescription, there are now even more superior Lens and Coating options than ever before. Commonly used for Visual Correction either, close work, distance or intermediate tasks. No lines and has the prescription over the whole lens. Has a dual purpose, commonly used for Distance and Near tasks. Has a distinctive line that separates the top from the bottom. Reflect your natural vision enabling you to see clearly objects in the distance, look ahead to view things at arm’s length such as a computer and drop your gaze downward to read and write comfortably. Technologically advanced design that enables you to see clearer and sharper than any other lens design. No lines. Prescription gradually changes as you look downward in the lens. At I-Care, we use the most advanced Progressive lens designs that offer the widest fields of vision at all distances. Benefits of extended focus lenses correct both your near and intermediate vision. Provide greater versatility and freedom than normal reading glasses. Enjoy clear sight for reading, cooking, desk and computer work. 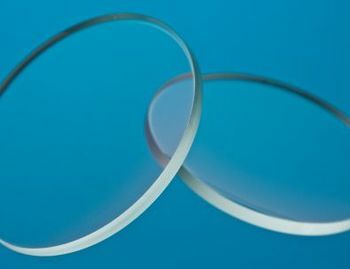 Lighter and thinner than standard lenses. Aspheric designs offer wider fields of vision as compared to standard single vision lenses. Continuously filter and optimise the amount of light your eyes receive, reducing glare, eye fatigue and strain. Block 100% of UV rays. Work with virtually all prescriptions in single vision, progressive and bifocal designs and materials. They are appropriate for children, adults and especially for those with a heightened sensitivity to light. Transitions lenses are compatible with all anti-reflective (AR) coatings, and perform even better when combined with AR. Two most common types are Transitions and Drivewear which is a polarized photosensitive lens. Polarised lenses eliminate glare from horizontal surfaces such as water, roads, pavements, snow, sand and reflective surfaces such as car exteriors. A polarised film built into the lens acts like a venetian blind, blocking out light traveling in certain directions that would otherwise result in glare. These lenses have the Polarizing benefits of reducing glare from horizontal surfaces combined with the ability to tint from light to dark. Great for active lifestyles and performance enhancing sports sunglasses. Polycarbonate lenses are 10 times more impact resistant than ordinary plastic lenses, and they're inherently scratch-resistant. The durability of polycarbonate lenses provides greater in-built protection against eye injury, making them perfect for children and Safety eyewear. Lighter, thinner, flatter, tougher, and with UV protection built in, polycarbonate lenses provide a host of benefits to children and adults alike. Polycarbonate lenses provide in-built protection against 100% of UVA rays and 99.9% of UVB rays. Wearers don't have to choose UV protection as an added extra; with polycarbonate lenses UV protection is inherent in the lens material.